Oldest of seven children and grew up in the Mayfair section of Northeast Philadelphia. Attended La Salle College High School and graduated in 1996. At La Salle, Bill played the saxophone and clarinet in the band and played football (4 years), basketball (2 years) and baseball (4 years). Bill went on the Albright College in Reading, Pa where he earned a Ba. In History. Upon graduation from Albright in May 2000, Bill gave a year of service as an alumni volunteer at La Salle College High School. Upon completion of the year of service, Bill was hired full time as a history teacher and football, basketball and baseball coach. In 2005 Bill graduated from La Salle University earning his Masters degree in Education and then in 2008 a Masters degree in History. 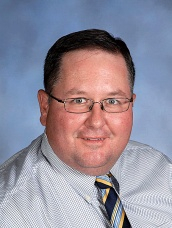 Currently Bill is in his fourteenth year at La Salle College High School where he teaches freshman World History and Advanced Placement World History. He is also the head freshman football coach and an assistant varsity basketball coach. Bill lives in Lionville, PA with his wife Ellen and two children Maureen (7 years old) and Charlie (22 months).